Social media marketing can be a powerful tool to help any business grow their sales, increase brand exposure and build relationships with customers. Yet, so many businesses see little to no success when it comes to social media. This is because many business owners do not know why they are using social media in the first place, or how to use it effectively. What are your goals and objectives for social media? How much time do you have to spend on social media? Who is going to manage your social media? 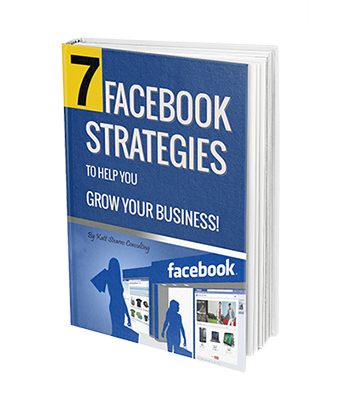 What many businesses don’t realize is that just opening up a Facebook account and posting random links on your page once a week won’t help your business grow. Social media should be incorporated into your other marketing strategies, customer relations, PR and day-to-day operations. Your potential customers are online and waiting to hear from you; now you need to know who they are and how to reach them so they can be invited back to your website and you can share your company’s story. Who and where is your target audience? Ask current clients where they are spending their time online or track what is being said about your company using Google Alerts or mention.net. Create a profile of your ideal client and keep them in mind when creating content for your social media platforms. It is not enough to initially engage your potential clients and customers, you must continue to educate, entertain and enrich their lives in some way. Your content choices are crucial and differ with each platform. The options for sharing your content are many: Facebook posts, Tweets, LinkedIn updates, Google+ posts, Pinterest images, and most important—blog posts. The best platforms are the ones your ideal client is using. Follow other businesses similar to yours to see where they are focusing their efforts. A great first step would be to secure your company name on all the platforms you can, even if you don’t plan on using them right away. There is nothing worse than signing on to Twitter and discovering another company is already using your preferred user name. Once you have decided on your platforms, make sure you have a quality image to use for your profile image as this will be used across all platforms to ensure consistency and help with branding. And remember to always link social media profiles back to your website. How do I improve my customers’ online experience? Your business success depends on how you communicate, and using the online tools that are already there to build relationships with the public is crucial. Social media posts create the links that take people back to your website, but what is waiting for them when they get there? Ask yourself whether you are utilizing your website correctly and taking advantage of opportunities to share information. When you create an interactive site that is searchable by Google and other search engines, your business online profile will grow and will be more easily found by new clients. You have completed the first step… you have acknowledged there is room for growth and are searching for information about how to capture new clients and keep the ones you have in the competitive world of social media and online content. Just like anything else you do in business, your social media should have a strategy behind it. Taking the time to review your goals and procedures now and then, and how you can improve what you are doing online will help ensure that your efforts see great results. Facebook is fast becoming one of the most trusted networks and search engines. Use Facebook to highlight stories, share contests and successes about your business.